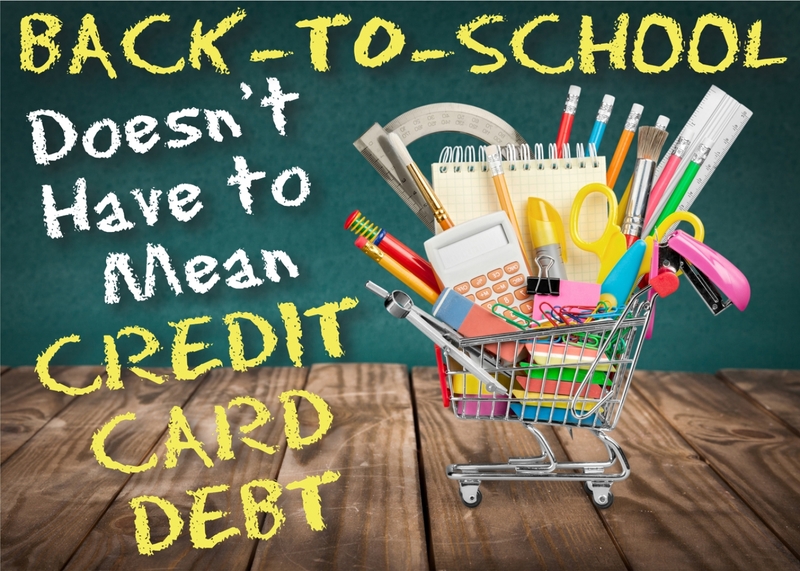 Get your kids ready for school without breaking the bank. A few years ago, the office superstore Staples ran a back-to-school advertising campaign featuring moms and dads grinning and gliding through the aisles to the classic Andy Williams tune “It’s the Most Wonderful Time of the Year” while their children scowled and sulked. Parents everywhere could relate. As the air turns crisp, the kids return to school and the pace of life picks up again, parents embrace the perfect opportunity to get their families organized and ready for the school-year routine. The trick this fall, given the uncertain economic environment, will be getting your children set for the back-to-school shuffle without spending a small fortune. A recent study by FranklinCovey showed that an overwhelming 82 percent of parents believe back-to-school spending is still important, even in a tight economy. The good news: With a little planning, getting your kids buttoned up for the academic year on— or under— budget should be a piece of cake. Here are ten ideas to get you started. Take an inventory of all of your children’s backpacks, shoes, clothes and supplies so you don’t buy multiples of things you can reuse. A great example is locks for lockers; the ones you bought last year should still work just fine. Discuss wants and rules with your children before getting to the store. School shopping with the kids can be fun. But if you don’t set boundaries, it’s a recipe for a budget disaster. Have each child identify one special item that is a must-have, and stick to your guns that just this one item is fine to purchase. Four or five must-haves end up busting your budget. Know your spending limit. It may sound obvious. However, if you don’t make a budget before you get to the store, you’ll overspend. To assist you, get school supply lists from teachers by the first week in August to better assess what your children require. Next select categories, like basic paper and pens, where you’ll pinch pennies. This allows you to spend additional money on supplies and extras that make a difference in your children’s overall level of organization and sense of preparedness. Go early, not late. It may seem counter-intuitive, but for back-to-school items retailers lead with their best deals. You won’t find better prices later. Instead, you’ll find picked over merchandise and large crowds. Buy a year’s worth of the basic supplies, which will be at their lowest prices of the year. Items like crayons, glue, basic notebooks and lined paper can be found for as little as a nickel or a dime in stores like Wal-Mart and Target. Stock up and keep the supplies in a central school area at home that you can dip into throughout the year. Allocate your clothing budgets efficiently. For clothing that your children wear frequently, such as athletic shoes, khakis and jeans, spend money on quality garments to endure for the entire year. Spend less on items like T-shirts, underwear and socks that tend to stain and get worn out quickly regardless of what they cost. Enhance the durability of books with inexpensive covers, like $3.69 BookSox (www.booksox.com) or free plain brown bag covers that can be easily decorated. Keep supplies low-tech. A recent FranklinCovey study showed that parents believe traditional learning supplies, including notebooks, folders and binders, have the greatest impact on their students’ overall success. Fancy electronic gadgets, while certainly fun, are more nice-to-have than need-to-have items. Before you walk out the door to shop for items on your list, go online to check the circulars and coupon sites for discounts. Stores like Target and Office Depot have a version of their newspaper circulars online, allowing users to browse deals and print coupons. Last school season, Office Depot had a coupon code for $20 off a $100 purchase and Kohl’s was offering a 10 percent off coupon for school clothes. Put your kids to work in finding the deals. Perhaps set up a contest to determine which of your kids can help you save the most money on back-to-school supplies and clothes. Give the winner a significant but non-monetary treat, like a chore-free month. Sarah Welch is “Chief Dreamer” at Buttoned Up Inc., an organizational lifestyle company that allows busy women to get more done by helping them successfully organize less. She is also the co-author of Everything (Almost) In Its Place (St. Martin’s Press). Welch, her husband Gardiner and their son William reside in Dobbs Ferry, New York.